Please join us for our next Fall Coffee Concert on Wednesday, November 28th, featuring the Vancouver Seraph Ensemble (piano, oboe, violin, viola, cello). Refreshments will be served in the Gathering Space at 10:00 a.m. and the concert will take place in the Great Hall at 11:00 a.m. Please invite your friends and neighbours. 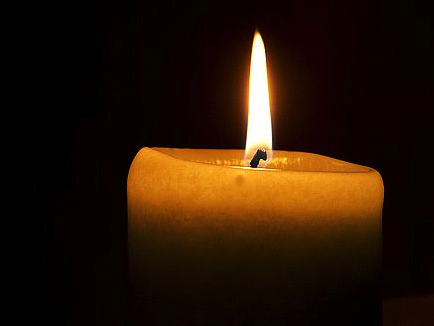 LYRIC SINGERS under the direction of Nancy Rahn, accompanied by Betty Suderman, will be presenting their annual Christmas concert at 7:00 p.m. on Saturday, December 1st in the Great Hall at Calvin Presbyterian Church. 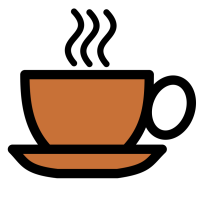 Please join us on Wednesday, November 7th at 10:00am for some “Coffee, Cookies and Conversation around Cannabis”, with some insight from Lorne Bartlett, a highly respected educator and counsellor in the Abbotsford School District. Everybody welcome. 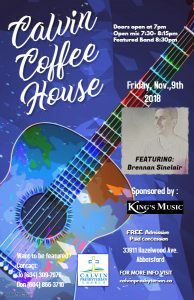 On Friday, November 9th, Calvin Church will be hosting the next Calvin Coffeehouse Concert. The feature artist this month is singer/songwriter, Brennan Sinclair. Doors open at 7:00 pm in the Gathering Space, with an open mic at 7:30 pm and Brennan Sinclair will be performing at 8:30 pm. Admission is free, with donations accepted for the musicians, and refreshments are available for purchase. Invite your friends out for an evening of coffee, tea and good music. In order to keep the Calvin Church Directory up to date, please advise Janet in the office of any changes to your address, phone number or email address. Thank you for your cooperation. 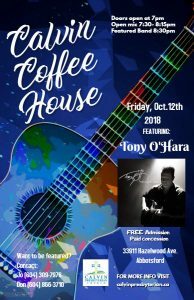 The next Calvin Coffee House will take place on Friday, October 12th at 7:00pm. 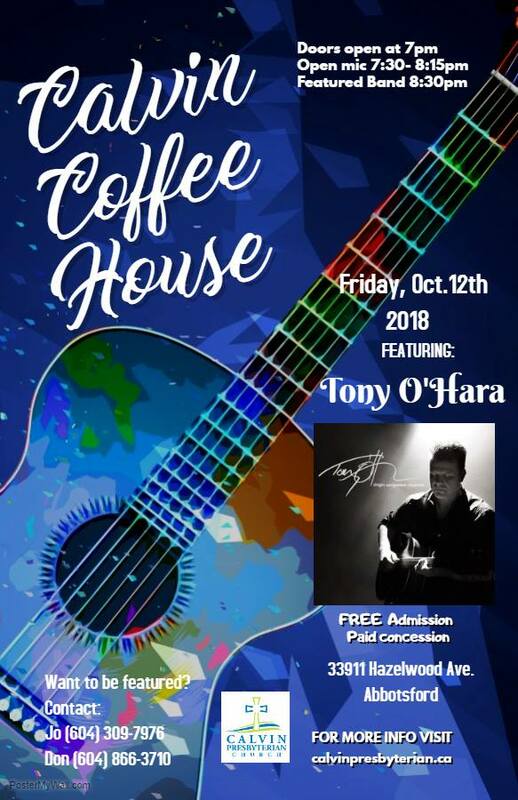 There will be an open mic from 7:30-8:15pm, and our featured artist, Tony O’Hara, will perform at 8:30pm. FREE Admission. Paid Concession. Kid Connect will resume for the fall on Sunday, October 14th and will continue on the 2nd and 3rd Sundays of each month during the worship service. Registrations will take place during the month of September. For further information, please contact Miriam at (604) 859-4887. THE CALVIN CHOIR is looking for additional members to join us in our up-coming Christmas cantata, And glory shone around. Weekly rehearsals will be held on Thursday evenings from 7:00 to 8:30 beginning September 27th. No auditions are required, and all those who love singing are welcome. For more information, feel free to contact Don Blaak (604-866-3710 or worship@calvinprebyterian.ca), or simply show up at our first rehearsal. We’d love to have you join us!